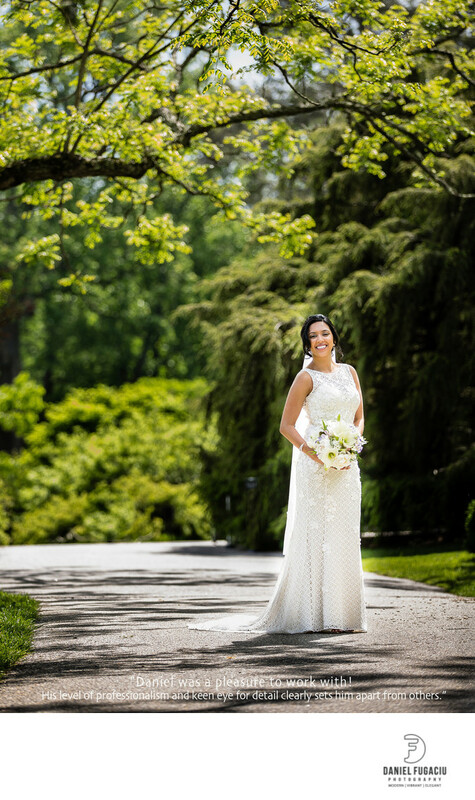 Tyler Arboretum bride photography. Portrait of Indian bride in the sun. Location: 515 Painter Rd, Media, PA 19063. Keywords: PJ and Tushara (3), Tyler arboretum (3), wedding (6).